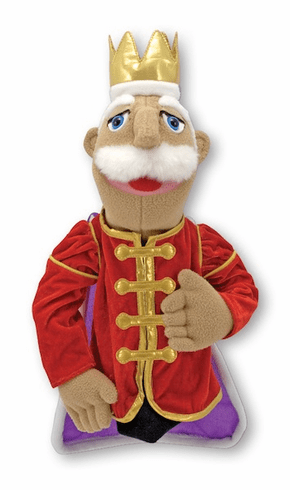 Everyone can feel like royalty with these ornately costumed, royal puppets. This king puppet hasd been carefully crafted for years of magnificent pretend play! Ages 3+ 8" x 17" x 7"